Victims of crime with disabilities experience the more general problems associated with victimhood in Ireland including under reporting, lack of information provision, lack of private areas in courtrooms, and delays in progressing complaints. Very often, however, the centrality of their outsider status is also more pronounced. They experience marginalisation at a number of different levels in the criminal process including policy emphasis, the specific commitments given by criminal justice agencies, the requirements of the adversarial process, the criminalisation of conduct which involves the exploitation of persons with disabilities, the language employed by the criminal law, and service provision. In the last four decades, victims of crime have moved more centre-stage in western jurisdictions. Justice systems are partially being reconstructed as they demonstrate an increased sensitivity to the needs and concerns of victims of crime. Nevertheless this new inclusionary approach is not without its problems, in particular its tendency to engage in a form of essentialism that over-simplifies the complexities involved. The general constituency of victimhood as constructed under this increased recognition often reveals itself as a narrow caste of individuals — heterosexual, white, mainly urban, often female — that focuses on a relatively restricted band of offences such as domestic violence, sexual offences and homicide. These generalising tendencies conceal the multiplicity of experiences of victimhood, and the multiplicity of interactions with the criminal justice process. The result is that certain categories of victim are rendered invisible and unable to share in the benefits of the more inclusive approach. One such category is victims with disabilities. Though such individuals are very likely to be conferred with ‘the complete and legitimate status’ of being ‘ideal victims’ in Irish social, media and political networks given their perceived vulnerability and blamelessness in many instances, this status does not readily transpose itself into the more limiting structural framework of the Irish justice system. These values can facilitate the construction of an ‘ideal victim’ at the initial (and very broad, discretionary) labelling stage following the commission of a crime — such as perceived vulnerability and weakness in relation to the offender. Such values can work in the opposite direction as one moves further into formalised, institutionalised justice networks governed by rules (evidence and criminal procedure), rights (the right to cross-examine, for example) and principles (such as the principle of orality). This disadvantage is evident in a number of areas in the criminal process including a lack of policy emphasis, the continued over-reification of the adversarial process, and both the under- and over-criminalisation of conduct involving persons with disabilities. A recent study on victims of crime with disabilities, undertaken for the National Disability Authority found, for example, that people with disabilities ‘are not being strategically identified as a victim group, either by victim support organisations, or those engaged at a central government policy level in dealing with victims’ issues’ . This is evident across most, if not all, of the Irish criminal justice agencies. To begin with, the lack of data collection on people with disabilities as victims of crime is striking. Unlike other jurisdictions, statistical data on crime prevalence rates experienced by people with disabilities, based on crime type or impairment type, simply does not exist. Irish national crime surveys do not include people with disabilities as a sub-group. It is also not apparent that agencies involved in the criminal justice system are monitoring or keeping records of people with disabilities. There is also very little reference to people with disabilities as victims of crime in criminal justice policy literature. The Victims Charter, which marked such an important policy development for crime victims in Ireland, embodies only one reference to victims with disabilities. In addition, it can be argued that the Irish criminal justice process remains epistemically rooted in mainstream accounts of victims’ needs and concerns. Such victims fit more easily within an adversarial paradigm of justice that emphasises orality, lawyer-led questioning, observation of the demeanour of a witness, the curtailment of free-flowing witness narrative, confrontation and robust cross-examination. Victims of crime with disabilities remain largely invisible, not least because of the difficulties they pose in relation to information gathering and fact finding for an adversarial justice system which for the most part refuses to engage with the ontological dimensions of disability. The adversarial process can be a significant discriminatory barrier, particularly for those, for example, who have difficulty with long term memory recall, with communicating information, and with cognitive overload, or are vulnerable to questioning that invites suggestibility, acquiescence and compliance. The past decade has seen significant shifts, both in the way we think about victims and in the way we think about people with disabilities. The process of returning victims to the criminal justice process is now advanced, although in Ireland there is still some considerable distance to travel in giving practical meaning to the rhetoric of inclusion. At the same time, the introduction of the Convention on the Rights for Persons with Disabilities and the new Victims’ Directive provides a comprehensive framework for the protection of human rights of persons with disabilities and begins the paradigm shift needed in order to render people with disabilities visible across a range of public and private contexts. Yet there has been little real attempt to engage with the issues raised by victims with disabilities. At a policy level, victims of crime with disabilities are not strategically identified as a specific victim group with particular needs and concerns among criminal justice agencies and victim support organisations. In terms of criminal justice agency commitments, no structured and continuous enhanced service mechanism is provided to such victims — whose quality of evidence may be reduced because of the disability — as they pass through investigative, prosecutorial and trial stages of the process. The fact that there is no evidence of a targeted approach that treats such victims with sensitivity, dignity and respect, raises serious concerns about the extent to which their right of access to justice is fairly accommodated. Commitment to reform is often hampered by a misconceived fidelity to the conventional way of doing things and a reluctance to overly disturb familiar and reified patterns. When the Victims’ Directive is introduced in November of this year (2015), there will, among other things, be an onus on all criminal justice agencies in Ireland to strategically identify victims with disabilities as a category of the broader victim constituency, and to develop a professional, integrated rubric which seeks to meet their needs as befits an equitable, accessible justice process. We should demand that these duties are quickly and sedulously fostered. Professor Shane Kilcommins is Head of the School of Law at the University of Limerick. Prior to moving to UL in 2014, he was a professor in law at UCC where he lectured evidence law, jurisprudence, criminology and penology. He is an examiner in criminal law for the Law Society of Ireland, and has acted as external examiner at UCD, TCD, and DCU. He was previously visiting Fulbright scholar at Temple Law School, Philadelphia. 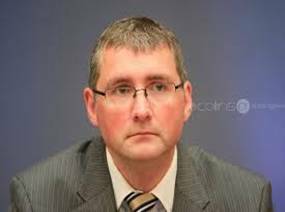 He is a Director of ACJRD (Association of Criminal Justice Research and Development), and is a member of the Expert Advisory Group to Transparency Ireland. He has acted as deputy editor of the Judicial Studies Institute Journal and, in 2013, was appointed by the Inspector of Prisons to carry out inspections of Irish prisons.